Barletta construction workers were on a job location at the East Street Bridge in Westwood on Sunday afternoon. An employee was seriously injured in an accident, details of which were not yet released by Massachusetts Bay Transportation Authority. The workers were altering the bridge over East Street on which the Franklin Commuter Rail Line runs. Along with the Massachusetts Bay Transportation Authority, State Police and the Occupational Safety and Health Administration (OSHA) are looking into the incident. Construction sites are supposed to be safe working environments based on the numerous regulations in place by OSHA. However, these rules, procedures, and guidelines are often broken and result in injuries to workers across Massachusetts. Employers have many suggestions from OSHA on how to keep the workplace safe. 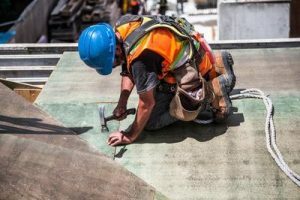 If a worker is injured on the site, Massachusetts personal injury attorneys will decipher whether the employer ignored OSHA standards. If that is the case, the employer would be legally liable to the injured worker for medical expenses, lost earnings and other financial and emotional problems. Even when there is liability on a third party for a construction injury, a lawsuit is not the only thing the injured party should consider. Workers’ compensation is an avenue to explore for redress. An experienced personal injury attorney will also determine how subcontractors were involved as well. Because of all the players and parties involved in a construction site and project, there are many intricacies that require a knowledgeable personal injury attorney on your case. Consult the Law Offices of Jeffrey S. Glassman at (617) 367-2900 anytime of the day or night to discuss your construction site injury.